The natural world can be observed and interpreted in infinite ways. This collection addresses the human desire to simplify and compartmentalize the unknown. To bring logic and structure to the boundless. As man structures and modifies the natural world to his desire, he creates change at unknown scales in the immense physical universe. As the modern world develops, the wilderness is reduced and circumscribed. 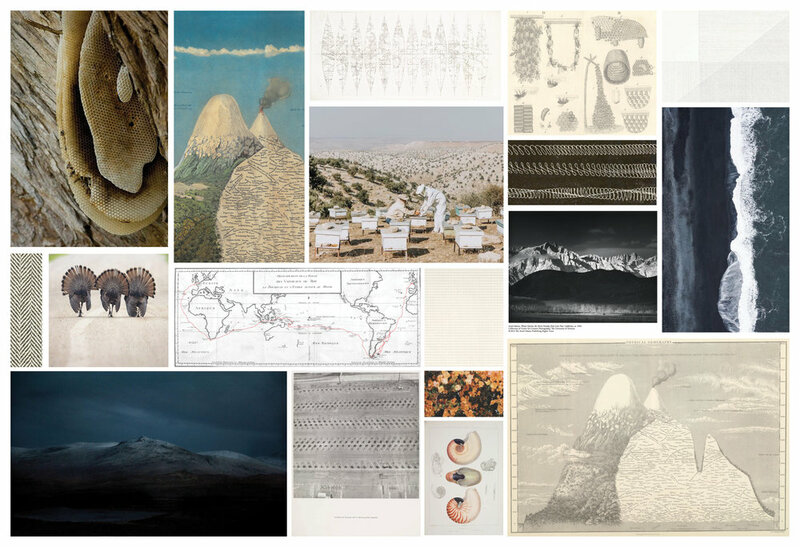 The collection’s inspiration stemmed from early adventurers and scientists. Alexander von Humboldt, a German polymath from the late eighteenth and early nineteenth century, had a key role in the contemporary understanding of species hierarchy and ecological distribution. The desire to find logic and understanding of the sublime, the infinite unknown landscape. As civilization has expanded and redistributed itself around the globe, man has sought to manipulate and tame the natural world to suit human desires. Genetically modifying species and drastically changing the landscape to “improve” ecology. The aftermath creates far stretching consequences. As the wilderness is contained into picturesque vistas, there is a renewed desire for the mystery and beauty of the unknown. 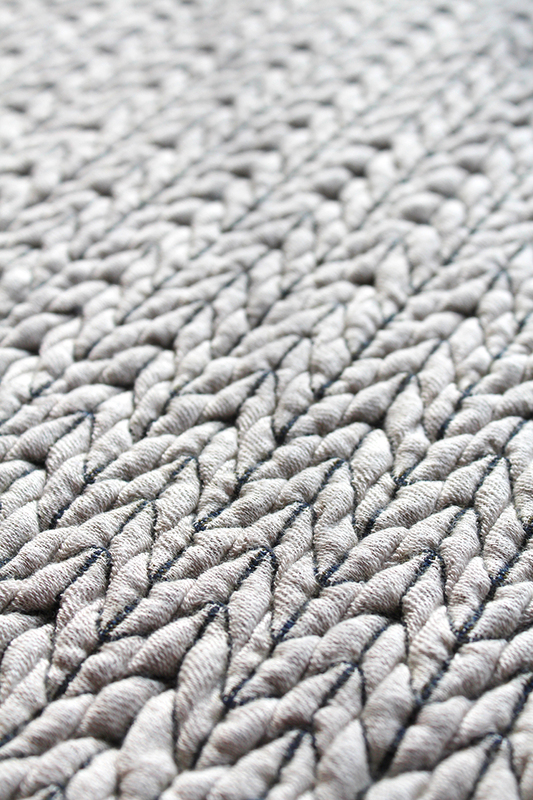 Jacquards created with elastomeric yarns to create dimension and structures. 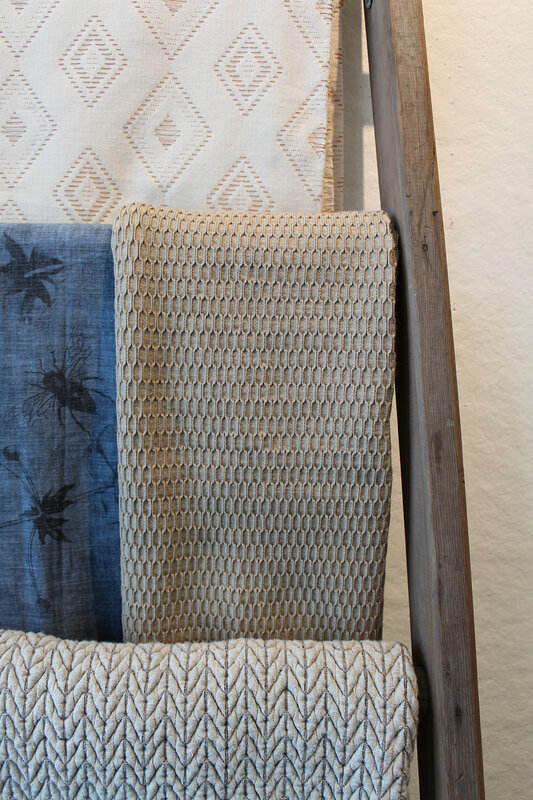 Working predominately with synthetic fibers to emphasize different properties of the yarns. The designs are all reversible. 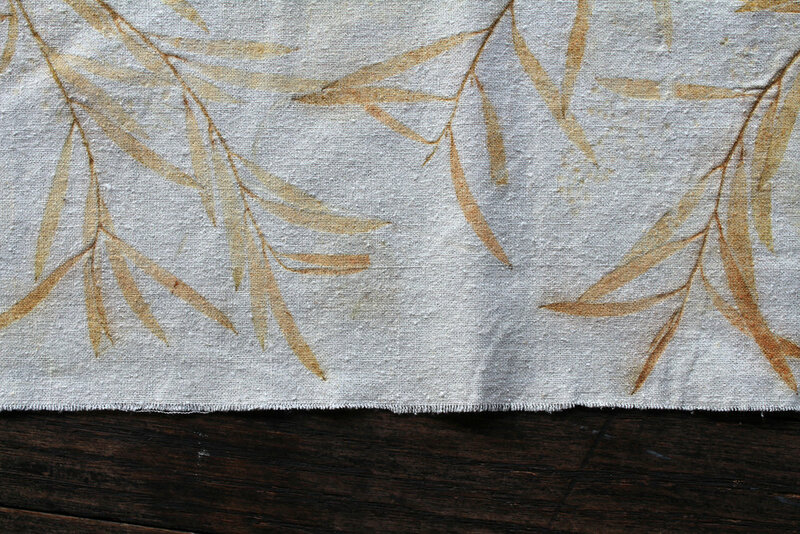 Eucalyptus was steamed onto raw silk to create a decorative organic design. Installation at the Design Center at Jefferson, formerly Philadelphia University in December 2017.